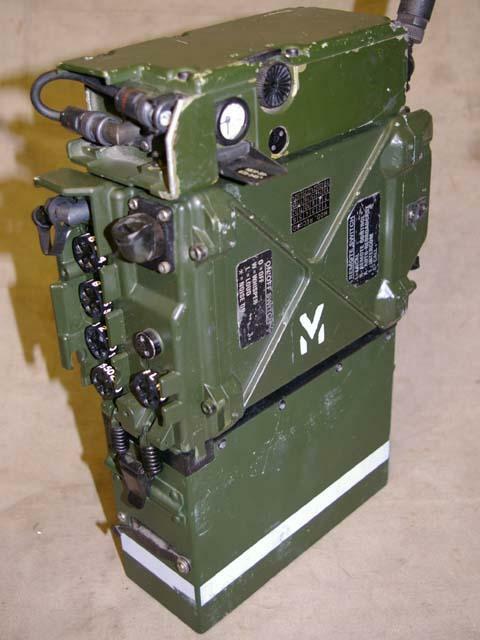 This is the Clansman VRC-351M Back-Pack Radio that was mainly used by the Royal Marines. 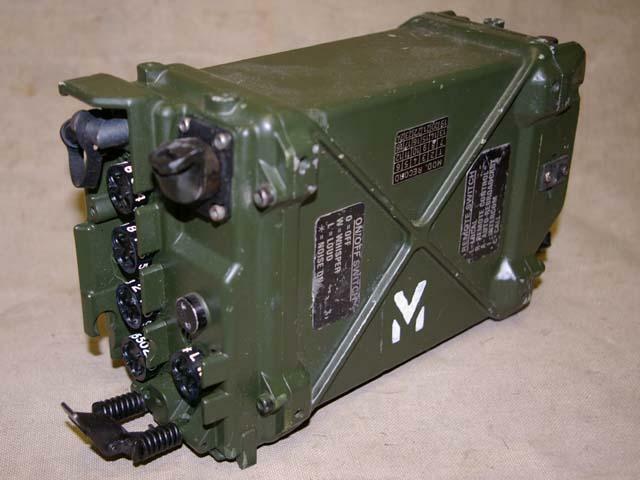 The radio is basically a PRC-351 that has been upgraded to work with the Clansman BID system, British Inter Departmental. The BID system is some sort of army voice or data encryption system? that is still secret and unavailable. The upgrade is a interface board connected internally to one of the audio sockets of the PRC-351 which now acts as the BID interface. The radio can still be used as a normal PRC-351 with-out the BID system attached.The PRC-351M is a 4 Watt portable VHF (FM) Radio, made by RACAL BCC Ltd. in England. 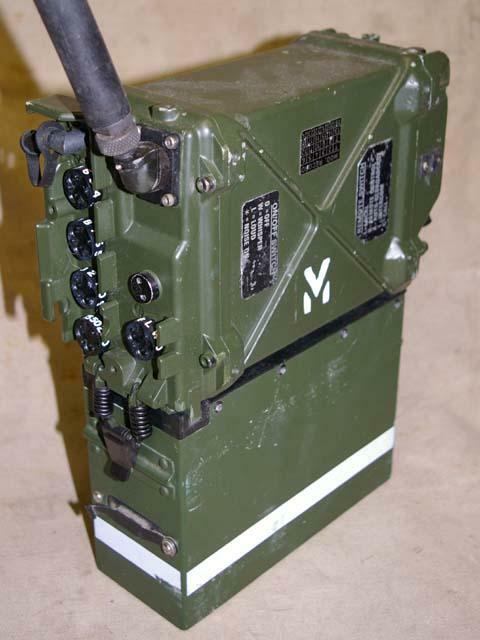 The PRC-351M has been designed to provide command communications at battalion and company level for dismounted troops. It was also used in vehicles by mounted troops. Output power of the radio is 4 Watts into a 50 Ohm load and the transmitting range is up to 10 Km when used with 1.2 meter standard whip antenna in open country side, and up to 20 Km when used with a vehicle antenna. 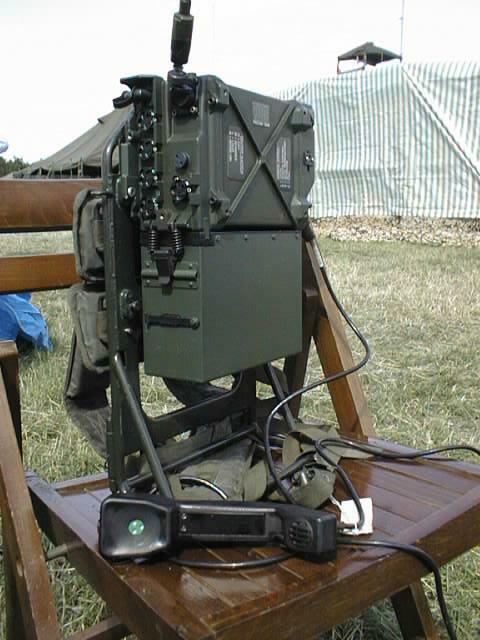 The radio can be capable of transmitting to much greater distances by adding an external clip on 20 Watt RF amplifier. 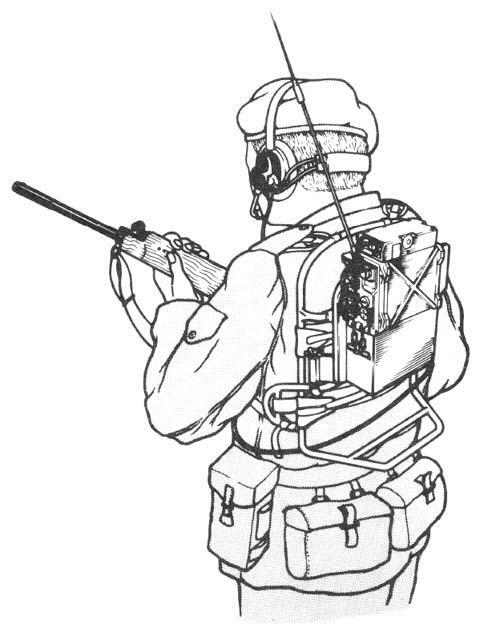 In this configuration the radio would effectively become a Clansman PRC-352M which is available elsewhere on this website.